Full service digital agency CTI Digital has made a series of new appointments and promotions. 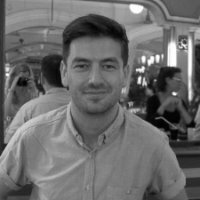 Neil Dring joins from Wonder Associates as a senior project manager and will look after a number of international Drupal clients. Arriving from TalkTalk, Mark West takes the role of lead Drupal developer and will be responsible for leading a number of Drupal projects with Mark Jones, who joins as a senior developer from Livelink. Nick Rhind, CEO, said: “Neil and Mark (West) bring an excellent understanding of supporting and developing projects across Europe. In particular this will help CTI expand our international work and the locations we're operating in." Finally, after a year as a project manager of publisher development, Dave Beswick is promoted to resource manager.